People are the ultimate resource of a business, meaning effective management of that resource is vital for an organisation to thrive. 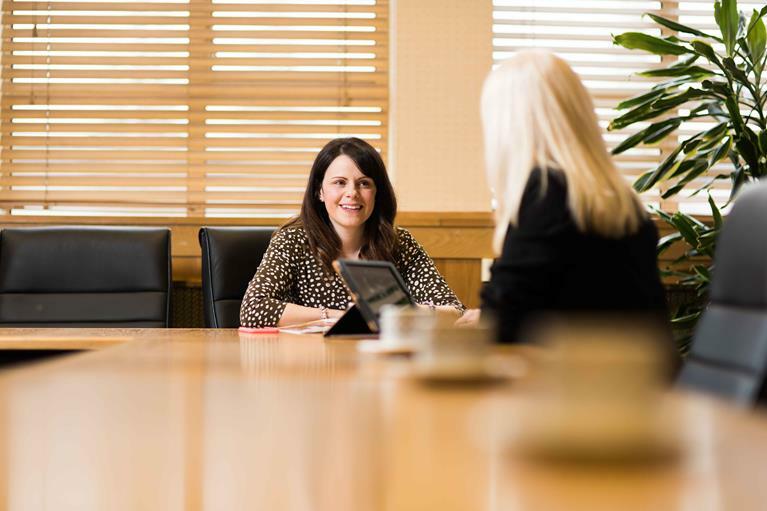 Human Resource Management course at Wrexham Glyndŵr University provides a thorough understanding of the the importance of delivering an effective employment relationship and the facets within it. Working closely with the Chartered Institute of Personnel an Development (CIPD), the programme has aligned its module structure to the CIPD’s Advanced Diploma and created flexible study options including distance and blended learning. The course is relevant for Human Resource Management professionals in all types of organisation within the UK and internationally and aimed at experienced middle or senior level managers or HR professionals. Consequently they are likely to have relevant work experience as well as hold appropriate formal educational qualifications suitable for a Masters programme. The programme makes sure students not only develop the knowledge they need, but also provides them with the know how to apply that knowledge and develop their skills as professional practitioners. The MA HRM Programme team are all practitioners themselves, who work in the various specialism’s within HRM. This means the tutors can support students with a real understanding of what it means to be an HR practitioner and are up to date in regards to what challenges organisations in a wide range of sectors are facing. They can also easily demonstrate the links between theory and practice. -Course Delivery – There are two modes of delivery, Distance Learning and Blended Learning with the only difference between the two modes being the tutorials. For Distance learning these will be asynchronous online forums, whilst Blended Learning students will attend once a month for face to face contact with the tutor. Narrated lectures, subject guides and supporting material will all be delivered online. Why? Flexibility. Busy working lives, and a turbulent environment mean that professionals don't have time for day release and it is reflective of how people want to learn in the digital age. -Residential Weekends - Which will take place once a trimester (5 during the programme in total) - these will be a mixture of experiential learning workshops designed to build skills and develop self awareness, visiting speakers sharing experience of HR in practice and application in practice sessions to demonstrate the connection between what the student has learned and what that means for them within their workplace through case studies, discussion and collaborative learning. -Mentoring programme throughout the Course - Students will be asked to nominate a mentor in their workplace who will become part of their programme of study with the development of learning contracts and scheduled mentoring sessions, the outcomes of which will form of part of the students Continuous Professional Development Record. -Throughout the course, students will have the opportunity to network and attend the CIPD conference, as well as accessdifferent levels of CIPD membership (depending on your progress through the course). The module structure is closely aligned to the CIPD's Advanced Diploma. The advantage of this is that students are now able to take individual modules, to study for Continuous professional Development purposes. If a student took their CIPD qualification some time ago and wants to refresh knowledge and skills in particular subject areas this is now possible. The dissertation which has been the mainstay of the Masters programme is being replaced with a Research for Publication module. Students will be working towards the development of a publishable journal article. Although publication is not guaranteed, the aim is that each year Wrexham Glyndŵr University will see some of the MA HRM Programme students leave, not only with their Master's Qualification but also with a published journal article to add to their CV. Our hope is that our students will not only be learning from contemporary research but contributing to it as well. Assessment of modules is predominately a mixture of course work and unseen assessments in relation to the main topic/theme of the modules and is normally based on research within the student’s host organisation. Online submission of assessments by both Distance Learning and Blended Learning Students will be used to avoid the requirement for students to present their submission in person during school office opening times. Web conferencing platforms are used in some MA HRM Programme modules for live online assessments. Distance Learning Students will be able to perform Oral Assessments, Simulations and Practical assessments using web conferencing platforms where required. For online assessments to be possible Distance Learning Students must have a webcam, microphone, headset and direct high-speed internet connection. Students are responsible for ensuring that their computer system and internet connection will support the web conferencing platform prior to any assessment. The assessments conducted via Web Conferencing Platforms will be run in ‘real time’ and will be recorded for external moderation purposes. The MA Human Resource Management is a highly valued postgraduate qualification designed for those who want to pursue senior level careers in Human Resource Management (HRM) and covers essential skills for students to develop their professional and future career potential. There is a high demand for qualifications that are linked to professional membership of the CIPD. The course will help students network with professional colleagues and allow access to the latest research and thinking in HRM. Successful completion of the first year (Postgraduate Certificate) will result in the student being automatically upgraded to Associate Membership of the CIPD. Successful completion of year two (Postgraduate Diploma) provides the qualification required for an application to upgrade to Chartered Membership of the CIPD. The final year of study provides seamless progression to the Masters qualification for CIPD graduates. Applicants will need to join the CIPD and pay an annual subscription fee in order to qualify for professional membership. Both the Distance Learning and Blended Learning modes of the programme have been designed to be very flexible – meaning that students can generally fit their work around their study. The Postgraduate Certificate and Diploma are a mix of both academic and vocational study and assessments are focused on individual research and work experience. It is therefore considered advantageous for a student to be in employment throughout their study, although students may apply their learning to an organization with which they are familiar. -An initial degree of Glyndŵr University, or another University approved degree awarding body. -A non-graduate qualification which the University deemed to be of satisfactory standard for the purpose of postgraduate admission. -Relevant work experience that is deemed to compensate the lack of formal qualifications and have held a position of management responsibility for a minimum of two years. A student who has already achieved the current or previous CIPD Advanced Diploma may be given permission to proceed directly onto Year 3. Students with other qualifications may also be considered for full or part exemption from the programme in line with Glyndŵr University’s RPL criteria. Both Distance and Blended Learning modes require students to access course material digitally, access to the following hardware and software is require to study on the MA HRM Programme. Visit the MA Human Resource Management (CIPD APPROVED) page on the Wrexham Glyndwr University website for more details!